High-rise buildings have been a feature of the urban landscape for about 100 years. They shape not only their immediate surroundings but quite often whole cityscapes and skylines. 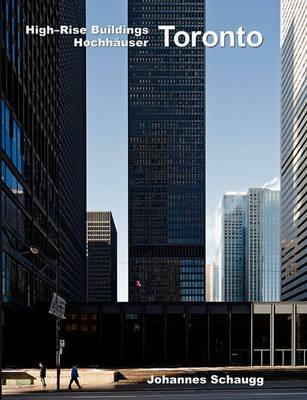 Toronto is one of a number of cities in which the author photographed a large number of skyscrapers from a pedestrian's-eye-view. HochhÃ¤user werden seit rund 100 Jahren gebaut. Sie prÃ¤gen ihre unmittelbare Umgebung und oft das gesamte Stadtbild. Toronto ist eine von mehreren StÃ¤dten, in denen der Autor eine groÃŸe Zahl von HochhÃ¤usern aus dem Blickwinkel des FuÃŸgÃ¤ngers fotografiert hat.